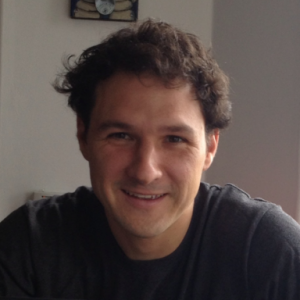 Jed McCaleb is the cofounder and CTO of Stellar.org. Jed believes in consciously leveraging technology to reduce inefficiency and improve the human condition. He created eDonkey, one of the largest file-sharing networks of its time, as well as Mt. Gox, the first Bitcoin exchange. 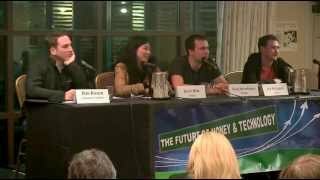 In 2011, Jed founded Ripple. Recognizing that the world’s financial infrastructure is broken and that too many people are left without resources, he cofounded Stellar Development Foundation in 2014. Jed is also an advisor to MIRI, which researches artificial intelligence for positive impact. Created Mt. Gox, the first Bitcoin exchange. By supporting organizations like MIRI, we’re putting the safeguards in place to make sure that this immensely powerful technology is used for the greater good. For humanity’s benefit, we need to guarantee that AI systems can reliably pursue goals that are aligned with society’s human values. Stellar was bootstrapped by McCaleb, an early bitcoiner, and Stripe, the startup that helps drive online payments for he likes of Apple, Facebook, and Twitter. Like bitcoin, McCaleb and Stellar aim to create a universal online ledger that securely controls the movement of money from one place to another. But unlike bitcoin, it will deal in many currencies, not just one. And it won’t use miners. When Mbewu Movement founding members had dinner with the founders of Stellar, Joyce Kim (Stellar Executive Director) and Jed McCaleb (Stellar Board Member and Developer), on their first trip to South Africa we were delighted to hear, firstly, an international perspective on the changes in the technology world and how they think these could impact South African society, and secondly, advice on startup entrepreneurship and particularly what they think is important to know about building a start-up organisation. Founded on a concept called federated Byzantine agreement, the Stellar Consensus Protocol is intended to replace Stellar's existing consensus protocol, itself is based on the system used by competitor Ripple Labs. The Stellar team said in December that it was working to replace its existing protocol following network issues last September. Stellar is a fully decentralized payment network that allows anyone to send and exchange any currency. It can act as a decentralized exchange for bitcoin. Jed leads technical development of Stellar, a universal financial network that aims to increase economic participation for all individuals. The Stellar network is supported by Stellar.org, a nonprofit that couples technology with digital financial literacy and contributes to open-source software.